Burger King is another American F&B giant to hit the Indian market. The global chain of hamburger fast food restaurants is fast tapping India’s key markets- Mumbai, Bengaluru, Punjab and NCR. In a talk with Franchise India, Rajeev Varman, Chief Executive Officer, Burger King India, shares his company’s vision for India. Enlighten us about the birth of Burger King. Burger King was founded in 1954. In 2010, 3G Capital, a global multi-million dollar investment firm purchased Burger King Corporation, making it a privately-held company. Having completed more than 50 successful years in F&B industry, the brand shows commitment to premium ingredients, signature recipes, and family-friendly dining experiences. Tell us about Burger King’s reach. Burger King is a global chain of hamburger fast food restaurants headquartered in Miami, Florida, United States. Burger King is one of the largest fast food hamburger chains in the world. Every day, more than 11 million guests visit Burger King restaurants across 13,000 restaurants around the world. What is your mode of operations? 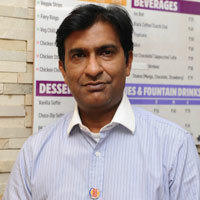 As master franchisee, we currently own and operate all Burger King restaurants in India. We have the rights to sub-franchise. How many franchise restaurants have you opened so far? We began Burger King operations in India in November 2014. Presently we have 13 franchise outlets. They are a mix of restaurants and food court outlets. How has the Indian market responded to the American brand? We are extremely pleased with the response to the Burger King restaurants that have opened since late 2014 and look forward to growing the brand’s relationship with our guests in India.